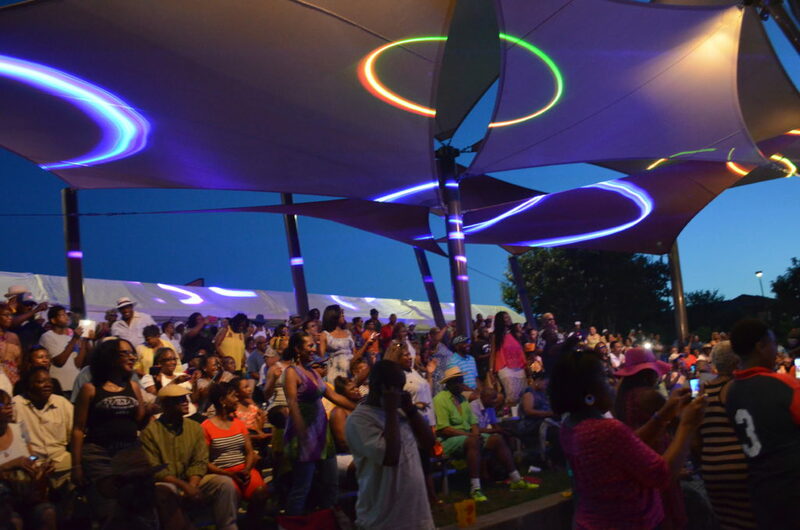 Attendees from the 2015 DeSoto Arts LIVE enjoy local performances at the Town Centre Amphitheater. DESOTO—A little bit of Motown is coming to the Best Southwest this week when the DeSoto Arts Commission hosts DeSoto Arts LIVE on September 3. An emphasis on various art forms including visual art, dance and music in a fun and family friendly environment is the game plan. DeSoto Arts Live Chair, Pamela Dawson, who is from Detroit, knows how to play the game. “In Detroit, they have a wonderful art and music festival. She [Dawson] wants to bring a similar experience to DeSoto,” said DeSoto Community Relations and Public Information Manager, Kathy Jones. Dawson’s vision going in was “… to infuse the DeSoto community with an event celebrating the fine arts in diverse forms of musical styles, artists, dancers, story tellers, local craft vendors and popular culture. We strive to offer everyone a family-friendly, safe and secure environment,” Dawson said. The event will start at 11 a.m. in the DeSoto Town Center Outdoor Amphitheater. 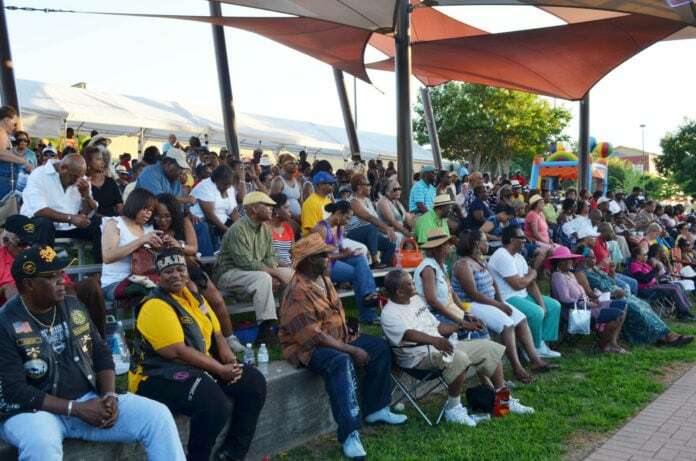 Attendees from the 2015 DeSoto Arts LIVE sing along. Attendees can expect a surplus of great artistic and cultural offerings including a Plein Air (French for “painting in the air”) Paint-Out. This allows visual artists to take part in the event. It’s an opportunity to set up shop along Roy Orr Trail and paint the landscape. There will also be a juried visual arts show and sale, strolling minstrels, a DeSoto High School Student Talent Show, a free performance by the Dallas Black Dance Theatre Teen Troupe, food vendors, gaming trucks, bubble soccer, and laser tag. Music performances will begin at 4 p.m., starting with local Beatles Tribute by Band Me & My Monkey. The headliner band, The Original Lakeside has been together for the past 40 years and will bring its own version of funk to DeSoto. “The band’s good vibe comes from the power of commitment, dedication, positivity and respect for the Funk,” band highlights read. The Original Lakeside will take the stage at 8 p.m. After the show there will be an autograph signing and after party with Lakeside band members at DeSoto’s Brick House following the show. “The DeSoto Arts Commission continues to work hard to provide great artistic and cultural activities for residents and visitors of DeSoto and the Best Southwest region,” concluded Dawson.